gt&i, in partnership with the social media specialists at Digital Hybrid, is working with new fitness kid on the block, Coresteady. This fast growing sports brand, manufacturer and leading Amazon UK retailer provides training products to fitness enthusiasts and athletes across the globe. gt&i is excited to be tasked with strengthening the Coresteady brand, creating a distinctive new look for its current marketing and channel creative, building brand awareness and promoting their upcoming product range. Looking to re-define the way you train? Check out the Coresteady range here. gt&i has been appointed to brand and promote a new destination, set in the heart of Florence and in the shadow of the Duomo. Encompassing the significant part of a city block, the collection of notable buildings span from a 14th Century Palazzo to an award winning 1970s masterpiece, all interlinked with traditional courtyards and spaces. The area is to be fully reimagined in a seamless blend of old and new delivering more than 150 stunning apartments and some 5,000 sqm of retail, leisure and recreational space. Having led on the research and strategy, gt&i is now working on naming and branding, digital presence, sales and marketing collateral and advertising. The teaser campaign, targeting an international audience is set to break in the FT, Economist and BA in-flight magazines. gt&i is pleased to be working with project and construction managers Hill International, sales, marketing and development advisors Zoniro, commercial architects Gensler and media agency am-i to bring this new destination to life. Tribu London, a jewellery company founded in 1998, came to gt&i with an already strong online presence, loyal return customers and real credibility amongst stylists, influencers and celebrities alike. However the brand had not evolved with the business and its increasingly broad mix of curated designs and styles. A wider audience was being missed. gt&i is thrilled to reveal the brand refresh. A clean and classic text only logo which allows the brand to be inclusive of the wide variety of cultural influences represented by Tribu. The refreshed simple brand lets the detail and individuality of each piece of jewellery speak for itself. The new brand is accompanied by an earthy colour palette which celebrates Tribu’s use of natural materials such as organic woods, stones and shells. To find out more and to discover beautiful jewellery collections handcrafted from around the globe visit Tribu London. gt&i takes Re:Nourish into a space that combines clean design with product transparency to showcase their nutritional and natural properties in a conversational and stylish way. gt&i has been working closely with CEO and Founder Nicci Clark to ensure that the bottles of fresh ready-made goodness are set to hit the ground running with multiple flavours coming to stores soon - you saw it here first! Step5 is one of the UK’s fastest growing change management business having delivered projects worth in excess of £1 billion for clients ranging from the Cabinet Office to FTSE 100 businesses. gt&i was appointed to put in place the foundations for their next phase of growth. This saw the agency undertake a strategic review of Step5’s brand proposition, refresh the brand identity, deliver a new website and co-ordinate an internal communications programme to make Step5’s mission ‘Together we can’ integral to the corporate DNA. With the new brand launched to staff across the UK and the site now live, gt&i is working with the comms team to deliver a marketing programme to introduce a dynamic new alternative to the big four. To find out more about Step5 and to see the new brand please visit www.step5group.com. Things are hotting up at Chrono Hunter, the worlds first online watch brokerage. Following our work to develop the brand identity and site design our marketing teams are gearing up for launch with an ice-cool new competition with favourite mag shortlist.com. Chrono Hunter is giving away a Rolex Submariner worth circa £6,000. Encased in a block of ice the prize goes to the person who guesses how long it will take to escape its ice tomb. To find out more about this competition and to enter go to Shortlist and watch out for the dynamic live stream on the 5th November. It’s been a great two years in Golden Square but unfortunately we ran out of space. So after an exhausting search gt&i can unveil its new home at 37-42 Charlotte Road - just a short stumble from The Bricklayers and next door to the fine coffee and hearty pasta dishes of Ruby. With plans to be here for the next year or two we have given ourselves and our sister agency Lafontaine PR space to continue to grow our offer and to welcome clients and friends alike. Keep your eyes peeled for more details on our Summer Sun Downer party on the roof terrace this September and, of course, come say hello if you are passing by. AM Sports Academy – sports training and summer camps available now! gt&i is getting ready for Summer and so are its clients. This week saw our work with AM Sports Academy continue as we look to promoting its sports training sessions and upcoming summer camps. Proving hugely popular with young Londoners spaces are going fast – visit AM Sports Academy for more information. gt&i is proud to unveil the new face of Chrono Hunter, a luxury watch brokerage platform which is due to launch later this year. gt&i has worked to create a stand out brand which, inspired by Greek mythology, takes a form of Chronos the Greek god of time and transports him to the 21st century. The brand immediately separates itself from the crowded market through the rejection of over used clock-based motifs and by giving the brand a character whose strong and dominating appearance provides customers with a reassuring sense of confidence. gt&i now continues its journey with Chrono Hunter, creating the new digital platform and through-the-line advertising campaign. Be sure to find out how Chrono Hunter will be changing the face of the industry by registering your interest today at chronohunter.com. gt&i is on the hunt for a junior – mid weight designer to join our small, fast growing and dynamic agency based in the heart of Soho. We are looking for someone with enthusiasm, creative flair, with a strong understanding of digital and print. gt&i has an exciting and varied client list from super yachts to banks and fintech to property. The role will include everything from conceiving and designing brands, websites, press ads and brand guidelines to fully integrated campaigns including OOH posters to digital display ads. The ideal applicant will be either a recent graduate with a degree in Graphic Design, Graphic Communication, Typography or someone with a first job under their belts and looking for the next challenge. An in-depth knowledge of InDesign, Illustrator and Photoshop is a must. The successful candidate will report directly the Creative Director and will receive help and support; however, we require someone who is willing and confident to hit the ground running and see projects through from conception to completion. gt&i is excited to welcome iconic photographer Ellen von Unwerth, represented by Angela de Bona, to London with the launch of her exhibition Ladyland at the Opera Gallery tonight. The exhibition brings together some of her most famous photographs from the last three decades in a celebration of her playfully and often provocative style. gt&i was pleased to work on the design of the exhibition postcard set featuring limited edition prints available for purchase. As Britain looks to its relationships beyond Europe, we go back 50 years to November 1968. Nixon had arrived at the White House, MacMillan was at No 10 and Queen Elizabeth II was flying the flag on her first, and only, state visit to South America. Taking in Brazil and Chile over 14 days and with more than 100 official engagements, gt&i is developing the identity and advertising for an exhibition organised and spearheaded by Iberia Torres-West that captures seven magic days in Santiago, Valparaiso and Pucon - and a bygone era through original photography and film. ‘Links that Last’ will start at the Chilean Embassy in London in early November before moving to the Casa Museo Eduardo Frei (the residence of Eduardo Frei, the President of Chile at the time of the Queen’s visit) in mid-November. Book Clubs in Schools, a not-for-profit championing student development through reading and discussing books, appointed gt&i to create a new brand identity. The appointment comes as BCiS extends its book club programmes across secondary schools in the UK. More than 1500 children participate every week in this unique cross-age peer mentoring programme which inspires a love of reading in students whilst developing their analytical skills and improving self-confidence through open discussion. The new brand uses the theme of building character to deliver an identity that is powerful and fresh and appeals to a broad audience from school children to teachers, boards of governors and sponsors. With the use of the strapline ‘Where characters build character’ gt&i encapsulates the ethos and value of the programme. BCiS is now running in more than 25 schools, the work of gt&i and other supporters including BeyondMe, Ipsos Foundation and Give A Book will help grow the programme nationwide in 2018. To find out more contact tim@gtandi.co.uk, to find out about setting up a book club in your school visit bookclubsinschools.org. Global real estate services provider Savills called on gt&i following our branding and advertising work for new Swiss resort La Dixence/Les Collons. The brief to create a new look and feel for the fast growing international ski division that would also sit comfortably under the Savills brand umbrella. The result is a distinct new style for Savills Ski marrying stand-out typography with dynamic lifestyle imagery - enabling placements to leap off page whilst creating a true sense of place. It can now be seen in ski advertising, brochures and portfolios and in resort via both their agencies and innovative resort-centre pop-up branches. Implementation of marketing plans, support on social media, new business tracking and pitch preparation. 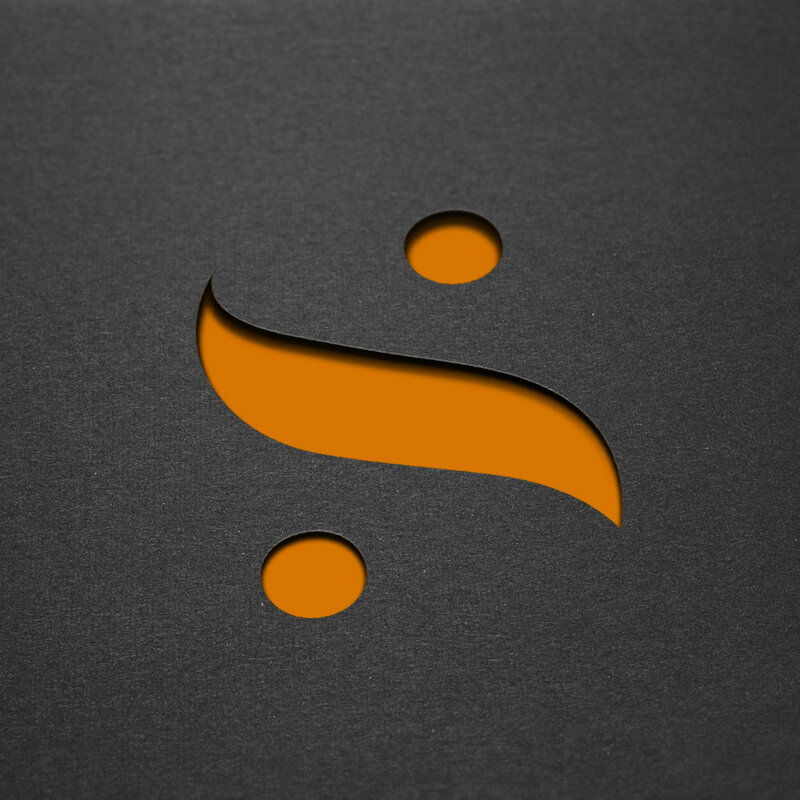 · Support and co-ordination of input and outputs to studio, tracking and management and reporting. · Client work, including attendance at meetings, client liaison, studio liaison and reporting. · Co-ordination of invoicing. If you think you are right for the job or know someone who is then email your CV to Sophie Draper sophie@gtandi.co.uk with 100 engaging words on any topic that really gets your goat. gt&i has been back to the classroom as part of their work on a brand refresh for social enterprise Book Clubs in Schools. BCIS delivers book club programmes for year sevens, facilitated by year 12 students. The inspiring visit to Walworth Academy saw a dozen student groups, accommodating more than 70 students, having fun whilst working hard. The year sevens gain reading, analytical and discussion skills that help preparation for GCSE courses whilst the facilitators from year 12 gain valuable experience in team leadership and management, helping them with both CVs and University applications. Now running in more than 20 schools across the London region, the work of gt&i and other supporters including BeyondMe, Ipsos Foundation and GiveaBook will help grow the programme nationwide in 2018. To find out more contact tim@gtandi.co.uk, to find out about setting up a book club in your school visit bookclubsinschools.org. gt&i is proud to unveil the new brand identity for Memento Exclusives, the F1 memorabilia business representing teams from Mercedes-AMG Petronas Motorsport to Renault Sport. The brand refresh marks the culmination of a year in which Memento Exclusives has delivered significant growth in sales of its innovative motorsport memorabilia and sealed new licence agreements with more teams & drivers in F1 and MotoGP. Memento Exclusives offer a curated collection of stunning, limited edition, accessories and home furnishings, ranging from cufflinks to exhaust pipe lamps, each hand made from race-used and re-engineered Formula One engine and body parts. The new brand identity with its distinctive ‘M’ swish, coupled with the positioning line ‘Own the Moment’, focuses on the unique motorsports heritage of each item and the emotional association with owning a part of motorsports history. Tim at gt&i on 020 3405 7969 to find out more. Conceived and created by Ternary London. Naming, branding and packaging by gt&i. Retailed as a pair, the Bonded bracelet is a very personal gift. For those working through mental health issues, knowing that the love and care of others is there is invaluable. Sharing a bracelet symbolises the day-to-day and unconditional support that is, literally, on hand whilst also raising funds and awareness for mental health charity Mind. gt&i has been appointed by leading luxury developer Harrison Varma to promote their stunning new Buxmead development, located on one of the world’s most prestigious roads, The Bishops Avenue in Hampstead. 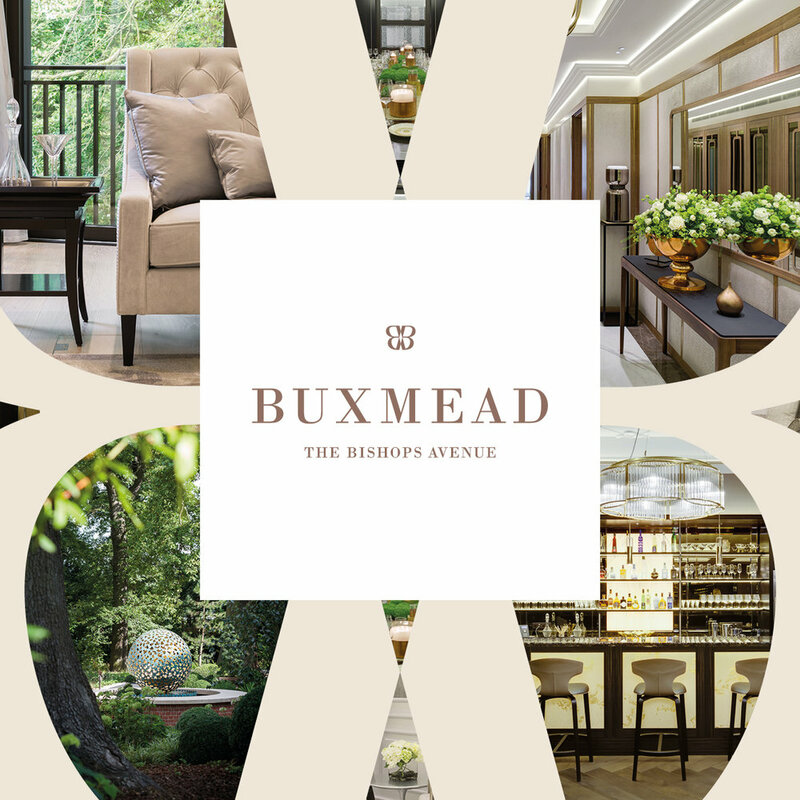 gt&i was challenged to produce and develop a creative campaign to introduce Buxmead to a highly discerning international audience in a time of real market turbulence. Priced from £6.5 to £15 million, Buxmead offers three penthouses, six duplexes and eleven lateral apartments built around the original Neo Jacobean buildings and all set in 2.5 acres ofprivate, mature landscaped gardens. Reminiscent of the finest private members clubs they benefit from full concierge services, spa and gym, 25m spring pool, games room and bars, private entertaining areas and a cinema. The campaign launches this month with placements including the FT How to Spend It and The Sunday Times. Following on from our recent work on the Bradfords brand refresh gt&i was briefed to produce and deliver a creative campaign for the Bradfords Big Rewards scheme set to run across multiple channels including OOH, in-store, online and DM. The team developed a versatile and bold campaign, utilising the recognised Bradfords red and yellow colour palette. The re-worked scheme is rolling out now. London creative agency gt&i has been appointed by insurtech business Lime Global to develop the businesses brand, strategic positioning, tone of voice, website interfaces and advertising. Founded in 2010 by an international management team drawn from leading insurance businesses including Aviva, KPMG and PLC group; Lime is transforming the insurance industry with a revolutionary offer of streamlined, real-time insurance available exclusively through digital channels. As a tech firm refreshing the traditional industry the brief demanded that the brand cut through a crowded market place, communicate simplicity and freshness and cut out the insurance speak with plain talking, honest English. GoT star Natalie Dormer to develop the brand identity, brand collateral and all packaging design for his new e-commerce platform. Launching in late 2017, SoleSpun will bring together London's stylists, models and photographers to curate a selection of the world's most fashionable and discreet accessories for him and her – handpicked and timeless socks, beautiful underwear and minimalist essentials. gt&i put its best foot forward for the pitch and are thrilled to have been appointed. Designer jewellery and luxury accessories brand Ternary London has joined forces with gt&i for their first national charity campaign - with gt&i delivering the campaign brand and product packaging for a ground-breaking new product range. Launching later in 2017 this is for a cause that is dear to gt&i’s heart - and we will be emailing all our friends and followers with information nearer the time. Leading interior design firm, BradyWilliams, has appointed gt&i to develop its first consumer campaign showcasing its high-end interior architecture and interior and furniture design services. Running in selected Conde Nast titles, FT ‘How to Spend It’ and House and Home, the campaign features interiors from the stunning duplex, triplex and penthouse apartments at Hempel Gardens, Hyde Park. Creative Director Glen Tarr welcomed the continuation of a relationship that stretches back to the creation by gt&i of BradyWilliams initial brand identity. We are thrilled to announce that Eulogy’s website has been awarded Agency Website of the Year in the 2017 In2 SABRE Awards EMEA. Late last year gt&i was appointed to design and build a new website for the agency. Within six weeks we had delivered a stunning, image driven and fully responsive WordPress based site with a sophisticated client CMS system. gt&i and Eulogy recognised that the pride of any agency is its work, and that work is what attracts clients, draws in the best staff and drives business. This led us to develop a site where every screen is a high impact advert for the client, with Eulogy the common theme. It demands to be explored and is always fresh, drawing on the rich content created by the agency teams every day and establishing a strong visual identity that is drawn through into all digital channels. gt&i is proud to have been appointed by Meshkati, world leaders in hair restoration technologies, to deliver their launch advertising campaign promoting their state of the art services delivered from a stunning new clinic in Grosvenor Place. Founder Amy Meshkati has spent more than 30 years pushing the boundaries for hair reconstruction techniques. Today Meshkati offers a range of hair reconstruction solutions including their exclusive, non-surgical NANOPROCEDURE as well as CHEMOSOFT, a technique specially developed for those suffering from hair loss caused by Chemotherapy. CHEMOSOFT is discreet, painless and non-surgical. gt&i has again challenged convention. With the campaign targeting an international UHNWI audience through premium media, gt&i dismissed the predictable ‘before and after shots’ and instead focused on the artistry and skill brought to bear by Meshkati as they restore confidence in their clients. Keep your eyes peeled for the first placement in the FT How to Spend It Beauty Special as well as placements in the Economist and Town & Country magazine. We are also pleased to continue working with Meshkati, completing their branding, website, marketing collateral and PR. Excitement is ‘building’ at gt&i with their appointment to deliver a full brand refresh and roll-out for one of the UK’s oldest, and most successful, independent builders merchants. Bradfords Building Supplies, with its four key trade brands, generates some £150 million sales from nearly 50 branches and its e-commerce platform. gt&i will refresh the brand structure, develop a new staff and customer facing brand proposition and oversee the roll-out of the new brand in branch and across their fleet of more than 100 vehicles. The programme will culminate in delivery of a brand advertising campaign across radio, print and online this Summer. Although it's sad to say goodbye to our Wardour Street home, due to the fast growing team and client list alike, gt&i has moved into shiny new offices in Soho. The agency can now be found behind the imposing black door of number 11 Golden Square just off Regent Street. We are proud to be sharing the Square with luminaries of the creative and media world including the likes of M&C Saatchi, Sony Pictures, Absolute Radio and Clear Channel to name a few. It's a much needed move to support ongoing client work as well as recent wins ranging from Winkworth's national brand campaign, to branding, product and packaging design for arriviste brewing company Little Big Beer. If you fancy a coffee, a client ale, or something stronger - get in touch and we will gladly show you around our new home. Little Big Beer, the groundbreaking new craft beer at just 2% ABV has a ‘brand’ new look following gt&i’s appointment by brewers Knife Fork Bottle and Cork Limited. Thanks to our more creative ale drinkers the result is a laid back and idiosyncratic new identity and character for the first nationally distributed very-low-alcohol ale. The team at gt&i are delighted to be appointed by Winkworth to deliver its 2017 brand campaign. Entitled “#HomeTruths”, the campaign launched on Sunday 5th February and includes national and regional press, taxi wraps, cinema and a programmatic led digital campaign. After a competitive pitch, leading London communications agency Eulogy, with clients including American Express, Royal Mail and Chambord appointed gt&i to design and build its new website that would redefine their place in the market. The fully responsive Wordpress based site, alongside rebranded social media and email collateral integrated with Campaign Monitor for database management, was delivered in six weeks to a very warm welcome across the industry. After a competitive pitch gt&i were delighted to be appointed by Alpine Homes International, working with Savills and Swiss developer MJD to develop the identity, communications proposition and launch campaign for La Dixence, a new luxury ski-in, ski-out resort in the Swiss Alps. Boasting a boutique hotel, thermal spa, 99 apartments and five chalets; gt&i delivered a new brand, international advertising, print and digital marketing collateral, exhibition materials and sales information. Collateral was produced in English and French language. After a succession of pitch wins we are delighted to announce that gt&i has been appointed by IntoUniversity as the Creative Agency for The Big Leap, their national fund raising campaign that will see new IntoUniversity Centres opening across the UK. Since 2002 IntoUniversity has transformed the futures of more than 50,000 students from some of the UK's poorest homes, and their ambition is to transform the lives of 200,000 more. PR Week and PRCA Agency of the Year is not a bad set of accolades for a communications agency that is just 20 years old this year. Eulogy works in the UK, and around the globe, with some of the largest business services, corporate and consumer brands. And when they were looking to celebrate their birthday they came to gt&i for a birthday brand refresh, a magazine to set out the changing face of London’s communications since 1996 [the year they were founded and google invented] and to make their Brewery party one that their guests 'eulogise' about. The party was truly a 'piss up in a Brewery' and if you want a copy of the magazine - or outstanding communications support - speak to Eulogy today. Congratulations to the Eulogy team. After a competitive pitch we are proud to have been appointed by a multi-Award winning London developer to deliver the marketing and advertising collateral for its latest project. The development offers more than forty stunning four and five bedroom houses priced up to £2 million and stands proud in a fully landscaped and gated development. The appointment builds on more than 40 years team experience in the property sector in the UK and overseas with clients including Barratt Homes, Thracian Cliffs, St James Barbados, Palladio House and Berkeley Homes. The West End is packed with landmark sites and streets - and is home to some of the finest creative companies out there. The team at gt&i claim that they also feel right at home in such esteemed company - and now have a place there to call their own. 79 Wardour Street is the new gt&i HQ and it is right in the middle of the action. Situated at the junction of Old Compton Street and Wardour Street, look toward the Ann Summers store and, above that, you will see a glorious Soho façade. Behind this lies a creative warren hosting record labels, model agencies, artists, film editors - and now us. You are welcome to drop in any time or give us a call and come grab a coffee at Damson or Bar Italia and we can talk over your next project. We love Value Retail and the vision of the team behind Britain’s luxury retail wonder Bicester Village - and another 10 locations around the world ranging from Milan to Shanghai. And we also know that savvy sophisticates love shopping in the only place that marries high end designer brands and labels with outstanding value for money. Their Villages are the locations that bring together the best that the world of fashion has to offer with a true luxury retail experience; from chauffeur driven transport to personal shopping assistants. Cue our latest campaign to drive sales of Gift Cards for the 12 villages. With each gift offering amazing choice and the chance to get so much more - Village cards are the gift that let the recipient showcase their own style. Conceived, designed, copywritten and shot by gt&i, advertising will be appearing later this Summer.